You did a nice job with this tree, Graham, great image! Maybe it’s even better without the blue?! Thank you Truels. I take your point about the blue background – but the background was quite confused and muddled so I wanted a plain backdrop. I was also experimenting with returning some colour to a black & white shot (never done this before). I may try a different edit with perhaps a more restrained blue? Oh that’s nice, Graham – very graphic and a joy to look at! 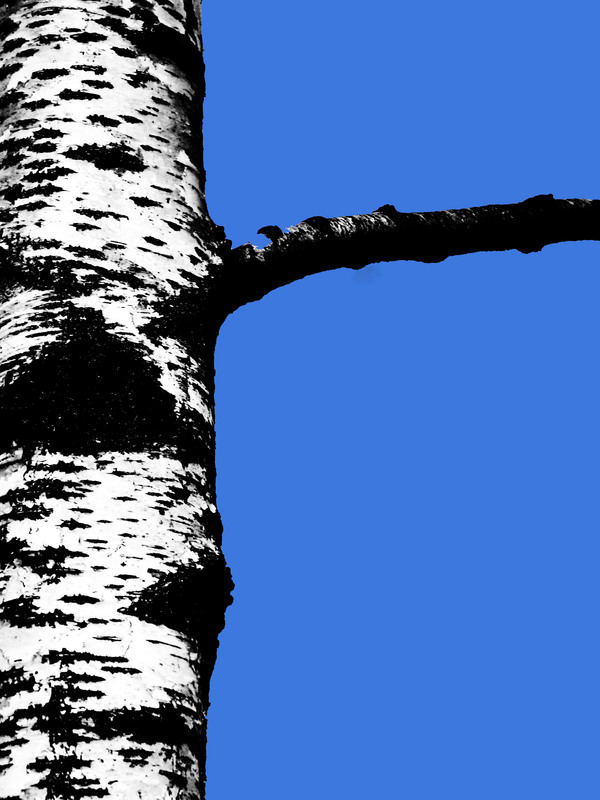 I disagree with Truels – I think the blue is a very integral part of the whole thing – the blue takes it away from being so abstract, it brings a touch of reality, which I think then further enhances the very abstract and graphic, black and white tree. Having that space white would have far less effect I think. A lovely and appealing graphic shot. Super.